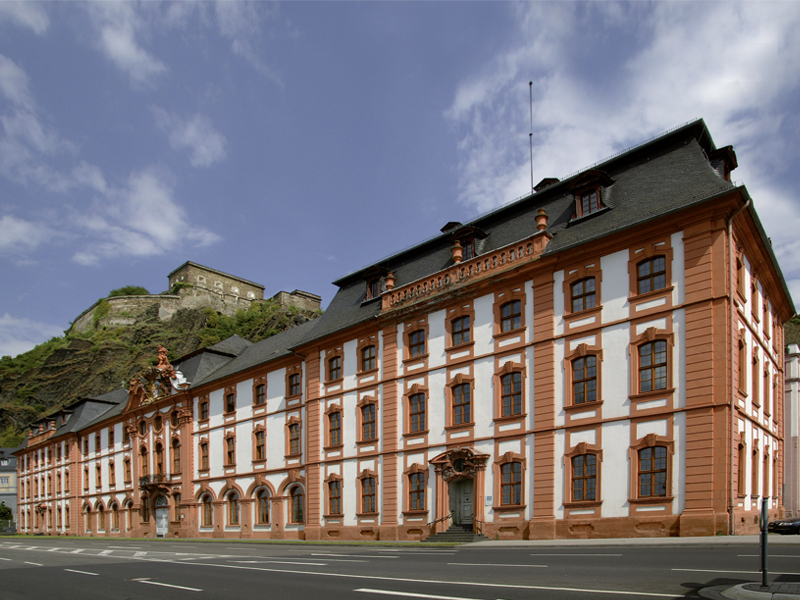 Elector Franz Georg Schönborn had the baroque, castle-like Dikasterialgebäude built in the middle of the 18th century at the foot of the Ehrenbreitstein. 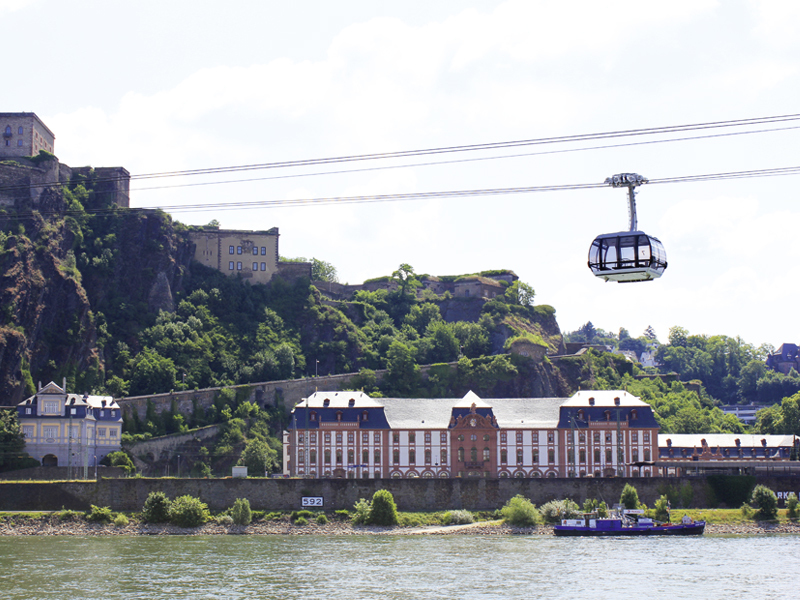 The plans for it came from the famous architect Balthasar Neumann. 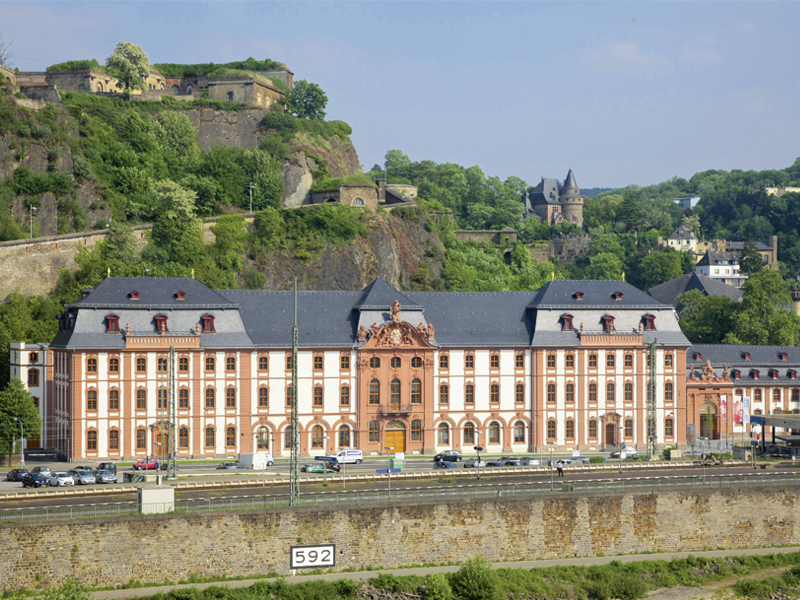 The building was originally in the immediate vicinity of the Schloss Philippsburg, which at the time was one of the largest and most important baroque buildings on the Rhine. 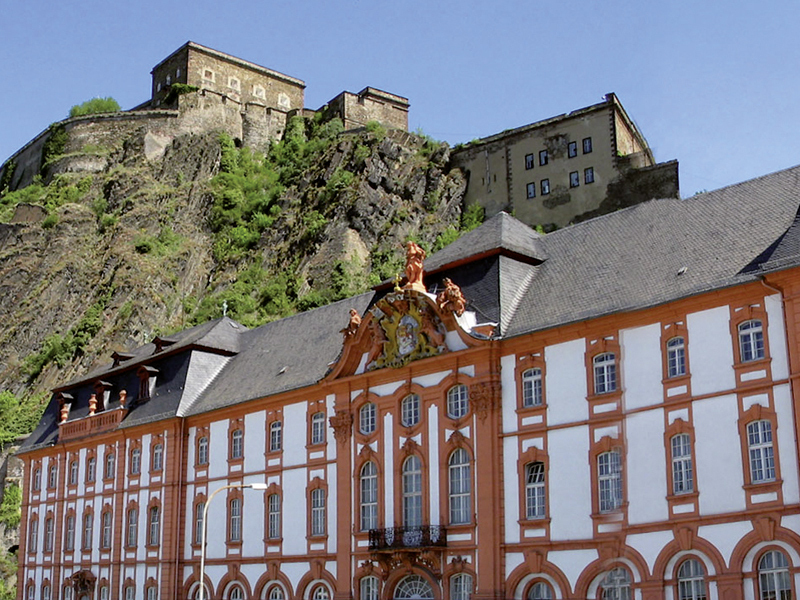 Schloss Philippsburg was destroyed by the French in 1801, but the Dikasterialgebäude remained standing. The secular administrative building of the Elector of Trier also housed the electoral court. The building intermittently also served as a residence, troop accommodation, military hospital, office of the Nassau government and provisions warehouse. The Dikasterialgebäude was converted for office use in 1936. It was partially destroyed in the Second World War and was rebuilt in 1947.